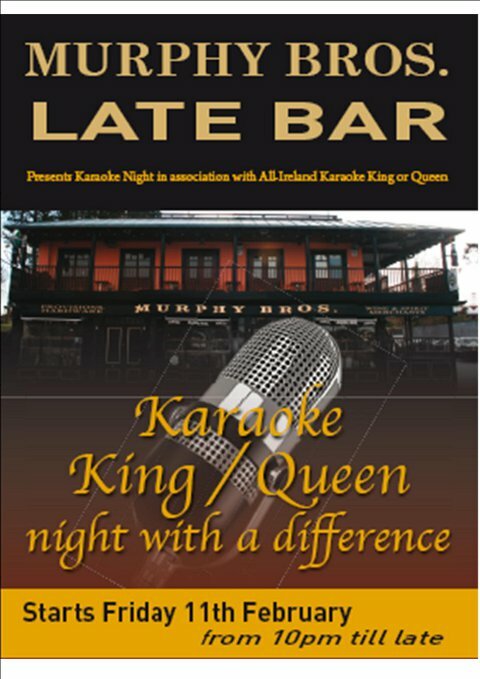 Murphy Bros, Front Bar is giving you the chance to stretch your vocal cords starting this Friday night (Feb 11th) from 10pm with our Karaoke Party!! Come along and enjoy promotional drink offers until late and join in the fun!!! David Lynn gives a powerful performance of “Anthem” to win the Stairway to Stardom talent contest in Murphy Bros. in Ballina, Ireland. Video by The Texan Tech. 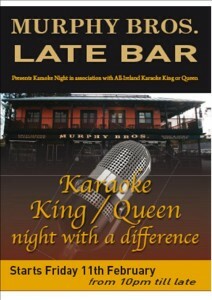 Welcome to Murphy Brother’s Bar & Restaurant and Long Neck’s Nite Club!